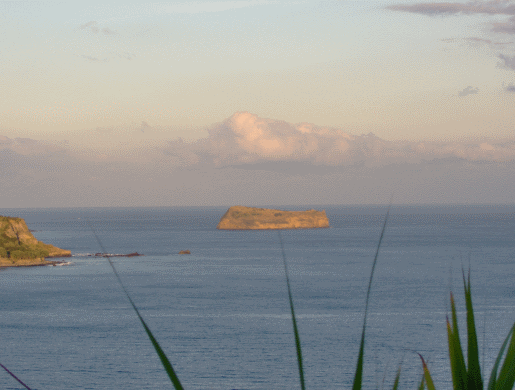 Ilheu de Vila Franca is a protected natural reserve that is a great place to visit from June to September to enjoy some time swimming and sunbathing. Once you are on the island there is a walkway to follow. Eventually it forks out into a few different paths and you can choose where you would like to go on the island. On a hot sunny day it can get busy so the earlier you get there the better spot you will have to sit down and soak up the sun. Even if you do not plan to swim it is a good idea to have a beach towel to sit or lie on because of the rocky surface. The area in the crater that fills with salt water is protected from the ocean (as you can see by the pictures on this page). Because of this the water is very calm and nice to swim in. The water very clear and fairly shallow (adults can touch the bottom with their feet in most places). In most spots the depth is about four to five feet and I would guess that the maximum depth is eight to ten feet. 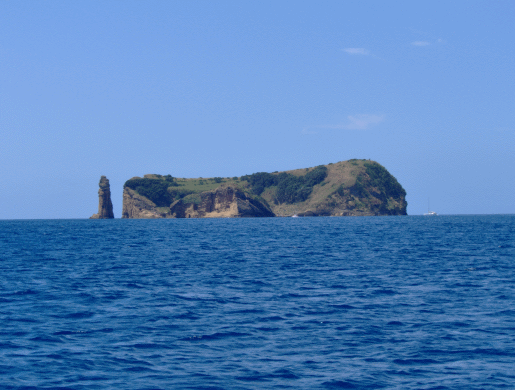 I last visited this little island in August 2008. Having been there before I had a pretty good idea of what to expect and what to bring. Because you go over to the island in a little boat with lots of other people (30-40 at a time) you can not take much with you. Just a backpack or beach bag is all you need. Just before my last visit I picked up some snorkeling gear at the marina. That was a great decision. While we swam in the water we were able to have a look at the small fish that come in from the ocean. It was nice to be able to see them. And once we were done snorkeling we relaxed in the sun until we were ready to get the ferry back to the marina. We were there for a few hours and as always it was a nice relaxing time. If you visit Vila Franca island with your children please keep an eye on them. An inquisitive child left to explore with out supervision could climb up and find some dangerous spots. There is a steep cliff backing onto the ocean. And how about this one? I have always wondered how these two rocks manage to perch like this. I also wonder if anyone has ever been dumb enough to try and step on to them! 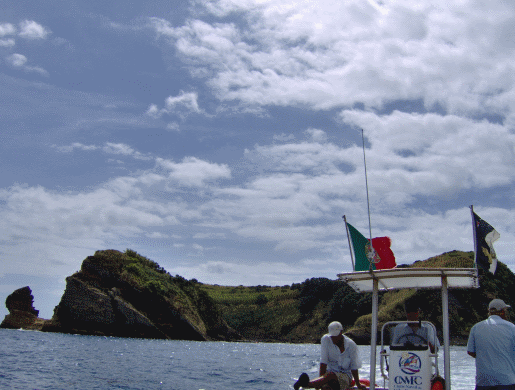 If you enjoy sunbathing and swimming I recommend a visit of a few hours to Ilheu de Vila Franca. 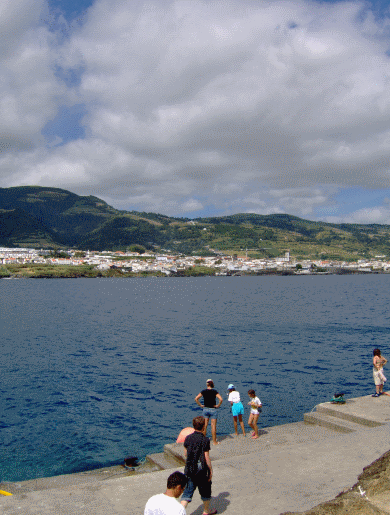 For more about the Azores leaveVila Franca, and visit www.magical-azores-islands.com.